The game of cricket has had its share of fights and brawls since it started. From Javed Miandad trying to hit Dennis Lillee with his bat to the heated argument between Shahid Afridi and Gautam Gambhir, the game of cricket has seen it all. Sometimes, it is pure adrenaline, and other times it is tactical in nature to weaken the opposition mentally. The ICC has taken a strict view and has devised rules and regulations to curb the on-field tussles and fights. They suspend or ban the players who indulge in acrimony on the field. 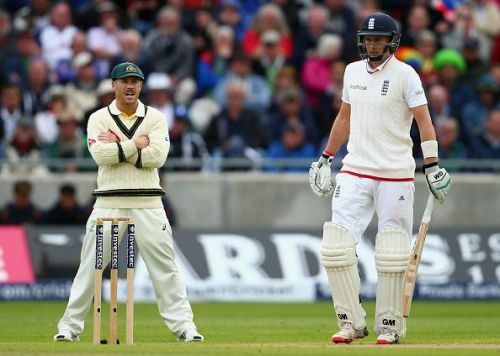 Here are four instances when players were banned for their confrontational behaviour. David Warner got into a massive controversy during the 2013 Champions Trophy and on the eve of an Ashes series in England. Some of the Australian and England players were at a Birmingham bar and a lot of drinks were involved. Joe Root showed up wearing a funny wig below his face. Warner thought it was disrespectful to the South African batsman Hashim Amla. He punched Root on his face and a fight broke out. Warner had to be dragged by his teammates to cut short the scuffle. He was removed from Australia's campaign for the rest of the Champions Trophy. The incident turned out to be a major shift in his life as he became a teetotaler since then.